By Ashutosh KS in Desktop. Updated on November 5, 2018 . Microsoft Edge — the better browser from Microsoft — is readily updated with new features and fixes to provide us with a better web experience. That is the same reason that it is quickly gaining an edge with its competitors while surprising us with exciting features like aside tabs, read aloud, etc. Though some of these features are borrowed from other popular web browsers, so you may know about them, but it has a few unique features as well. That is why I am going to introduce you to the best yet less-known features of Microsoft Edge and also detail you the steps to use them effectively. Let’s get started. 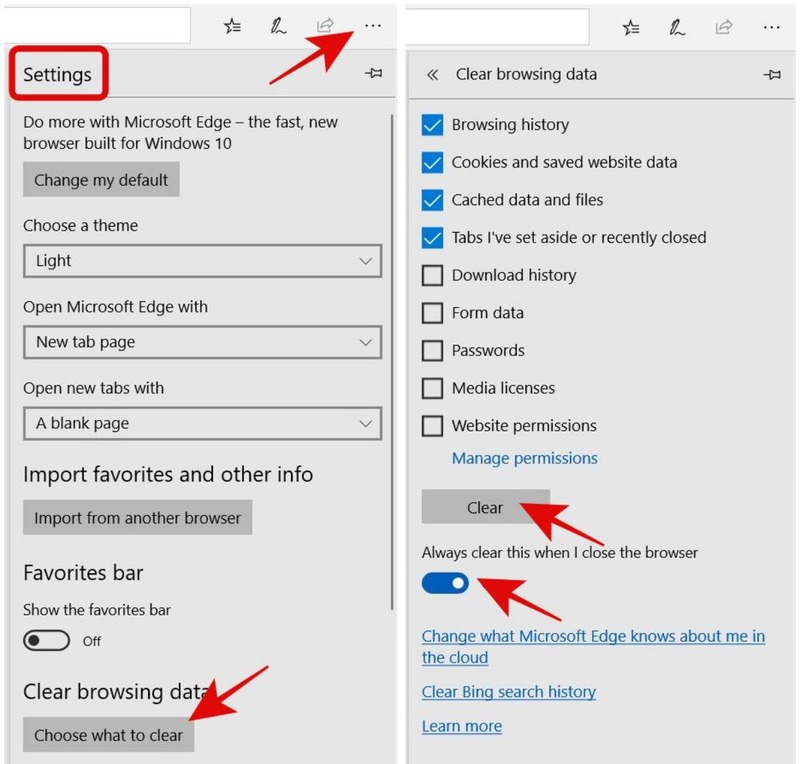 Open Microsoft Edge > click on the options button > select Settings. 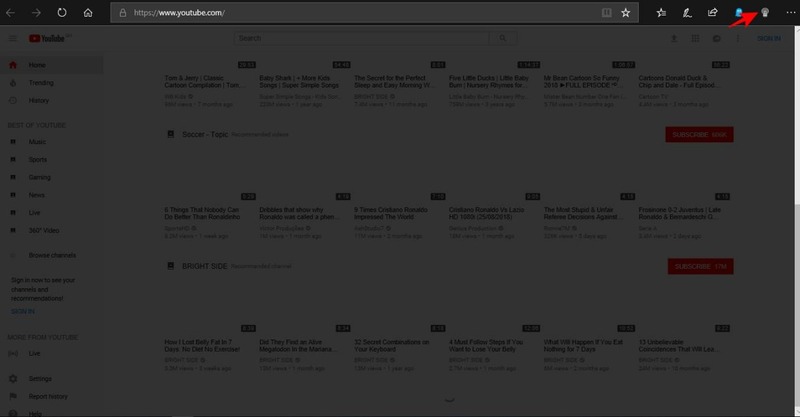 Under “Clear browsing data“, click on “Choose what to clear“. Now select the items to clear and click on the Clear button. Finally, toggle on “Always clear this when I close the browser“. Click the options button of the browser > choose Settings. Select “A specific page or pages” for the option named “Open Microsoft Edge with” and type an address in the textbox named “Enter a URL” and press the save button to set the given address as a startup page. Finally, click the “Add new page” button to add more links. 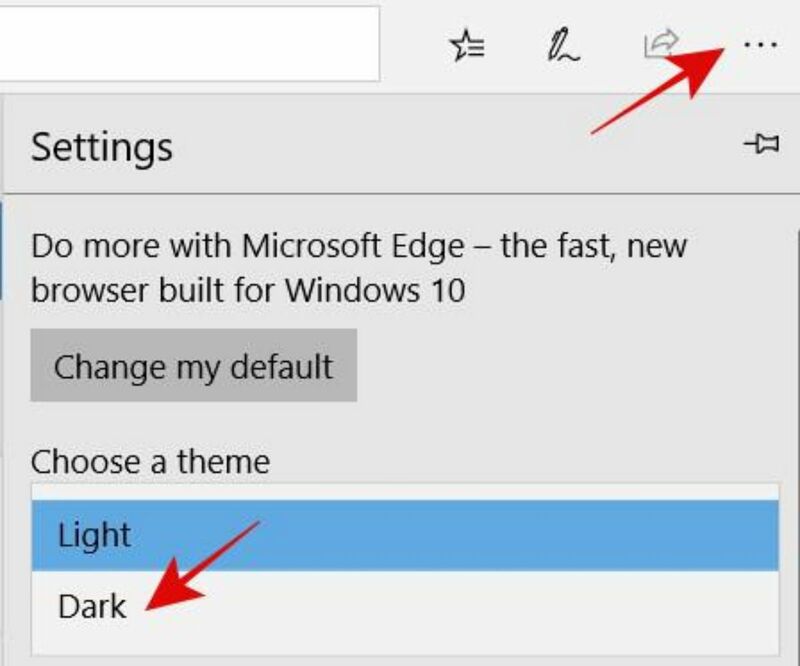 You can switch to a darker theme on Microsoft Edge, allowing you to work easily in the dark. The dark theme causes less strain on the eyes, making it possible for you to work longer. Click the options button of the browser > select Settings. Select Dark for the option named “Choose a theme“. 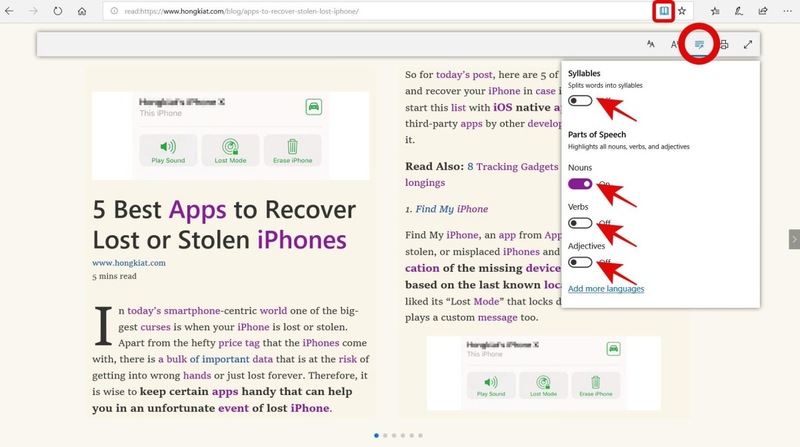 When you are too busy or too tired to read a page by yourself, you can ask your browser to read aloud the contents of a web page while you sit back and enjoy listening to it. 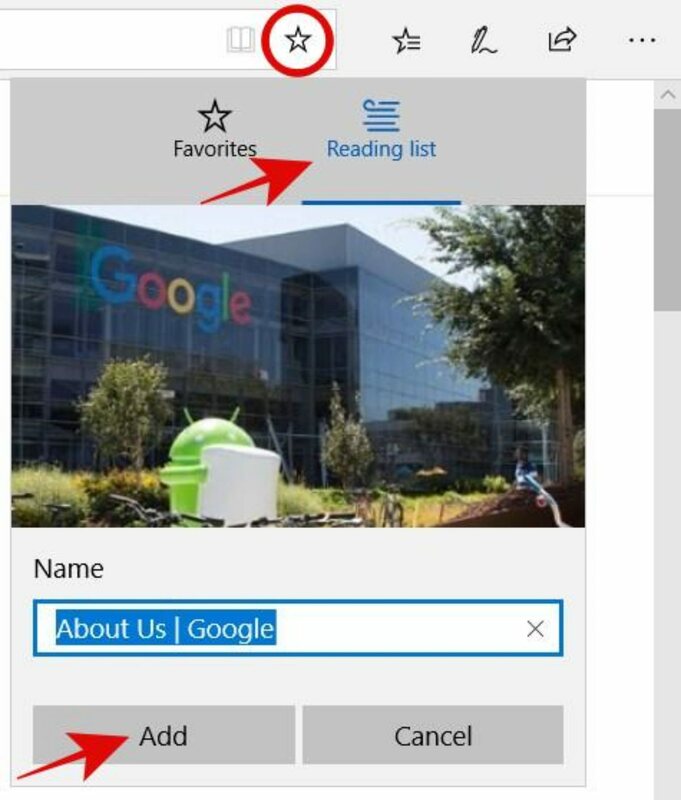 You can also adjust the reading speed or pause the reading by clicking the person icon shown in the browser’s read aloud bar. You can activate its read-aloud feature by clicking the options button and choosing the option named “Read aloud“. Please note that you can also right-click on the page and select “Read aloud” from the options. We often find articles and blog posts interesting enough to read but we may not have enough time to go through it at the moment. In such a situation, you can add the page to the Reading list and get back to it when you are free. Open a page in MS Edge > click the star in the address bar. Click the “Reading list” button, then click the Add button. Did you ever think you could annotate, draw, or highlight a web page or a PDF? MS Edge is the only browser to offer de-facto markup tools. You can click the “Add notes” button beside the address bar to switch to the annotations mode. Once you are in the annotations mode, you can select one of the tools from the annotation bar and add a note, highlight, or clip a part of the page. You can do these all directly in the browser. Finally, you can save and share it as well. We usually open a lot of tabs in a window while browsing the web. It is easy to open multiple tabs but hard to organize them per needs. 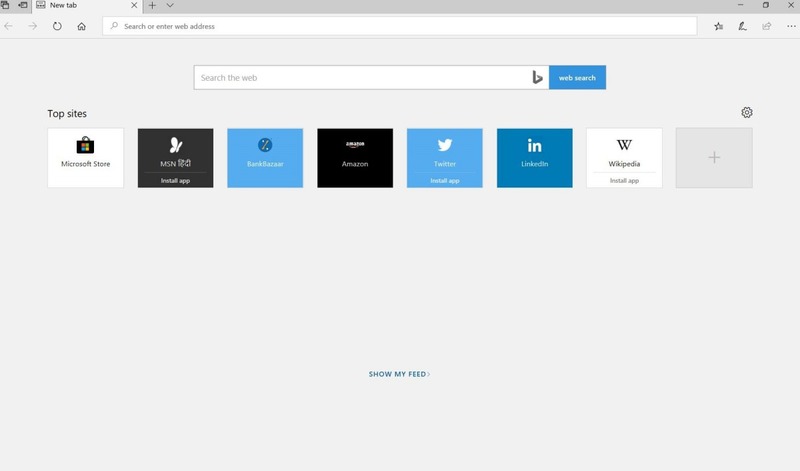 Fortunately, MS Edge provides a superb feature (named “Set tabs aside”) to help you organize those tabs and avoid tab overload while browsing the Internet. You can click the “Set these tabs aside” button present in the left of the tabs bar to set aside all the opened tabs. When you press it, all your tabs get stored in a temporary location, and you can get them back using a few clicks. When you need them, press the “Tabs you’ve set aside” button and click “Restore tabs“. Reading View is an interesting feature of MS Edge which simplifies a web page for reading. What is more interesting is, Microsoft added some elegant grammar tools that allows you to highlight parts of speech, see syllables, etc. When you are in reading view, click on an empty space of the article. Click on the “Grammar tools” button in the toolbar at the top of the page. If you do not yet have the package installed, click on GET to download it. After you have installed the package, click on the “Grammar tools” button again, and then click toggle on any or all of the options per requirements. 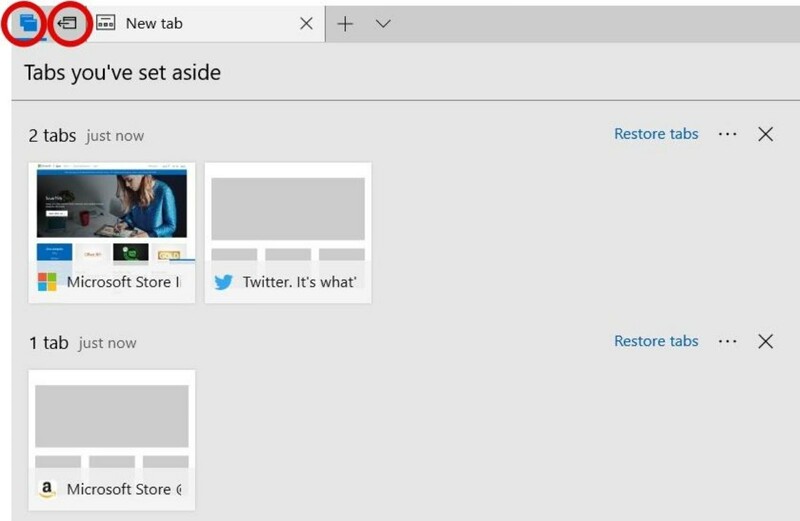 Microsoft Edge’s tab preview feature allows you to see thumbnails of the opened tabs. I find this feature quite handy when you have opened multiple tabs of the same domain, but you need to select one of them based on the content. You can activate the tab preview bar by clicking on the “Show tab preview” button, which is present right beside the “New tab” button. Click on the options button > click on Extensions. Click “Explore more extensions“, and search and install the extension named “Turn off the lights” from the Microsoft Store. Click again on the options button > choose Extensions. Click the “Turn it on” button beside the extension to enable it. 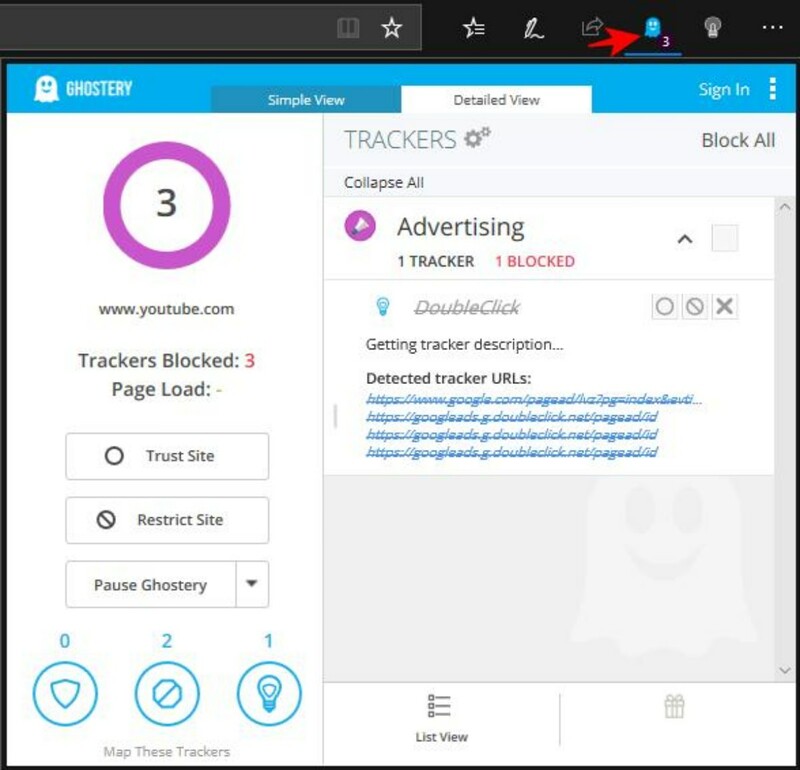 Ghostery is another handy extension that blocks tracking elements during your browsing sessions. Its enhanced anti-tracking features protect your online privacy like the tracking protection in Mozilla Firefox. 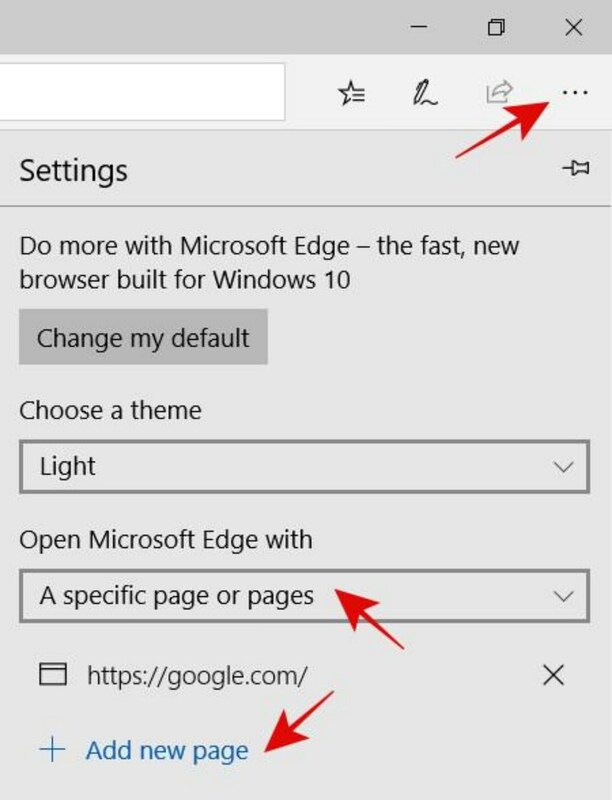 Click on the options button of MS Edge > click on Extensions. Click the link “Explore more extensions“, and search and install this extension (“Ghostery“) from the Microsoft Store. Now click the options button > choose the option Extensions. Click on the “Turn it on” button for Ghostery to enable the extension. That is all about the less-known features of Microsoft Edge. I hope you will try out these features and improve your productivity while using the browser. Which is your favorite feature among the listed features in MS Edge? Please share your opinion by writing a comment or messaging me at @aksinghnet.